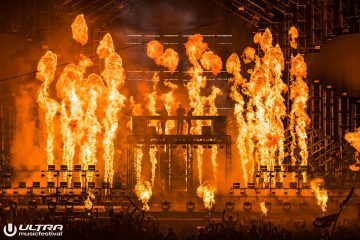 In the three years that Electronic supergroup Swedish House Mafia have been broken up, fans have been clamoring for a reunion tour as if they were Daft Punk. 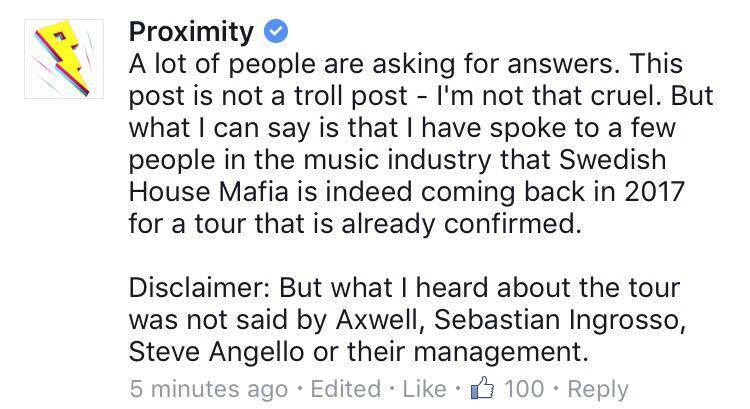 When Axwell^Ingrosso was formed we were 2/3 of the way there, but today we recovered what could potentially be great news. The popular YouTube channel Proximity posted a photo hinting at a 2017 tour from the trio. In the comments, they did clarify that they didn’t speak directly to the trio but in fact got the news from several industry insiders. 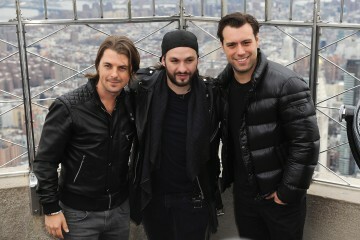 For their part, Axwell^Ingrosso released a statement saying “At this point, we’re not planning on reuniting and we have really no further comments on what the future for SHM looks like.” This means, for now, it’s all just rumors, but that statement should be taken with a grain of salt because if SHM were to reunite one could reasonably expect they’d want to break the news themselves and not let a YouTube channel do it for them. 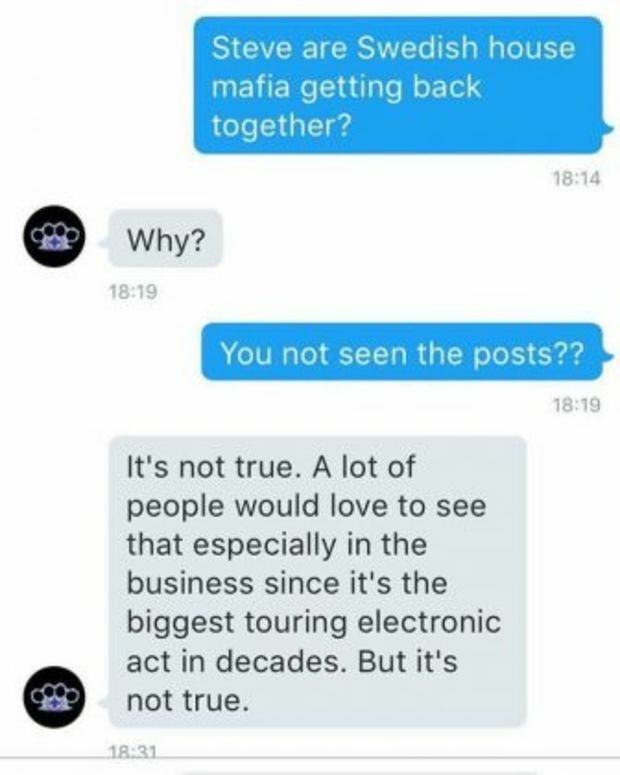 We’ll update as more news confirming or denying the reunion comes out.